Can you survive in a mountain of glass? The Glass Mountain instantly became my favorite Alethea Kontis story. It’s a fast read, but written so well that you are instantly transported into this seemingly effortless fairytale. This story has every required fairytale element, yet feels so fresh and original. 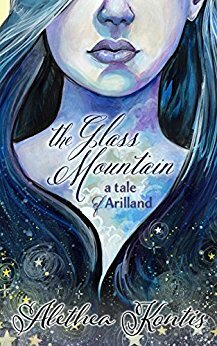 The pleasure of reading The Glass Mountain makes me wonder how so many retellings can be so boring, when as Ms. Kontis shows us, the retelling can be a more saturated and satisfying tale than the original. Just a fast fun read. Highly recommended! Kudos, Ms. Kontis! I hope there is a sequel forthcoming!